Bollywood superstar Shah Rukh Khan has hailed ‘Bahubali’ calling it the “biggest, nicest and boldest” way of storytelling. He also said the vision and the thought of making a film like ‘Bahubali’ proves “no guts.. no glory”. The actor said the fast-advancing technology will always be a big part of cinema, but the industry was making “wonderful films” even before technology came in. “Technology, of course, will always be a huge part of cinema. I believe that. I would never discount the fact that other kinds of films can also be made. They’re fantastic and beautiful… Before technology came in, we still made wonderful films. “But if you want to create that big cinema and that big dream to sell to a big number of people, you have to have guts to take that storytelling on and say it in the biggest, nicest, boldest way possible. ‘Baahubali’ stands for that” Khan said. The superstar awaits the release of his romantic film directed by Imtiaz Ali, also starring Anushka Sharma in the lead. The last line of the article proves how small, not so bold and boring your films have become. 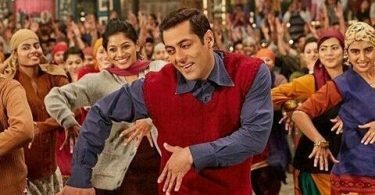 Even after achieving everything and becoming 2nd richest actor in the world and most influential you are stuck to those 2 rupees love story and hand raising. I was your fan but lost interest in your films in the last 5 years. Well said SRK . No guts No glory . The success of Bahubali and Bahubali 2 lies in the storytelling of SS Rajamouli and top notch writing by Vijayendra Prasad . Prabhas, Rana, Sathyaraj, Anushka, Tamannaah and Ramya also deserve huge round of applause for trying to break new grounds and doing both these​ films with passion and obsession . !!!!!! People around the world know India due to SRK. So Baahubali was seen as an Indian film, aka SRK country’s film. So credit of Baahubali 2 overseas success goes only to SRK. 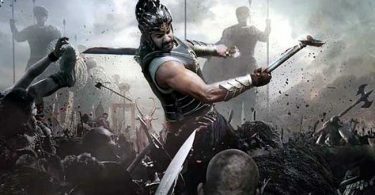 Baahubali 2 was Dharma production film, and Dharma productions was built due to SRK films success. So credit of Baahubali 2 success goes only to SRK. When can we expect such films from you sir? Still stuck with crap fest director like Imtiyaaz Ali? Where is vision? Where is scale? Where is story telling? A die hard fan of u, unfortunately to say the least. Srk and Salman are so kind to Bahubali maker’s and not jealous like the Ace khan who is busy these day with Rakesh roshan’s Chinese Calculator to cross bahubali 2 Any how ..
Salman is real superstar to appreciate work of everyone followed by SRK . Shahrukh Khan too has guts to try something like a Ra.One or FAN, even though they haven’t worked it’s good that he is still daring to work on something like the Dwarf film. All the best sir. But what the hell @indicine, even Akshay had praised Bahubali 2 on Twitter yesterday. Why didn’t you mention or make an article on it????? Disappointed!